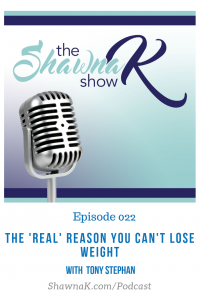 So many women are frustrated with their inability to lose weight. Maybe you’ve tried every diet in the book? Why is it that what used to work isn’t working now? Tune in with diet guru Tony Stephan as we deep dive into these questions and more! PS. If you need some support with your nutrition so you can finally drop the weight, I gotchu, just fill in this questionnaire to get the conversation started. Tony Stephan is a Registered Dietitian that has been featured as a nutrition expert on platforms such as Fox News, Women’s Health, Huffington Post, and Readers Digest. 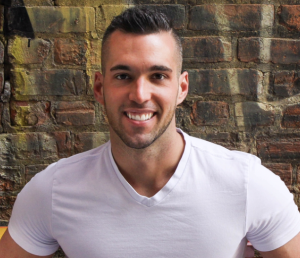 Tony is the owner of Tony Stephan Fitness & Nutrition LLC which is an online nutrition coaching company that teaches clients how to achieve their aesthetic and performance goals through a flexible approach to nutrition.